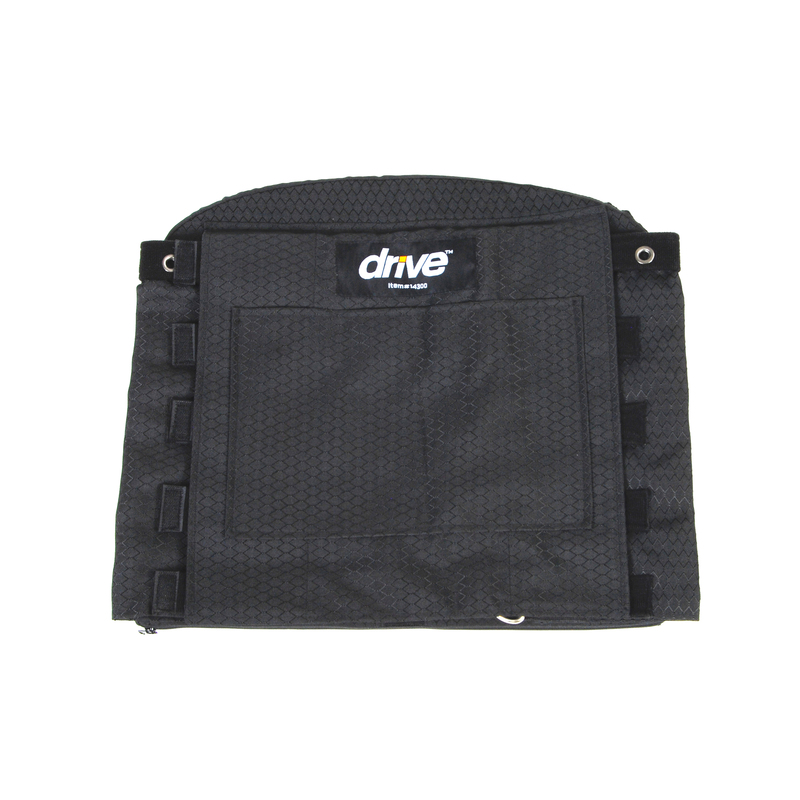 Enhance the comfort of your wheelchair with a comfortable adjustable back cushion from Drive Medical. The thick high density foam pad provides you with excellent pressure distribution while the adjustable tension lets you tailor the feel of the back to your ideal comfort. And the cushion's lumbar support ensures even greater comfort. The cusion is available in two sizes to accommodate wheelchairs 16-21 inches in width or 22-26 inches. It's designed to fit easily and securely onto the wheelchair's canes for the ultimate in strength stability and safety.